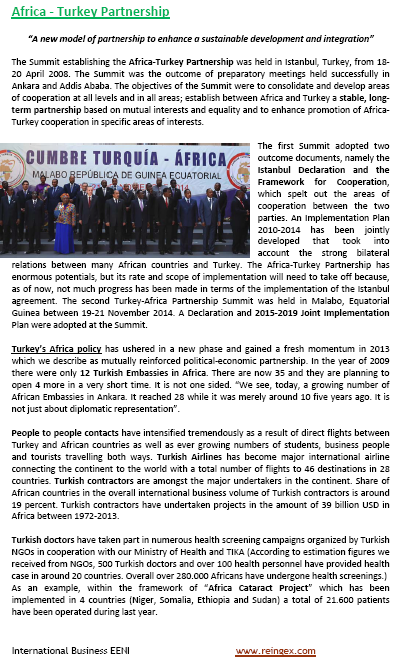 Syllabus of the Online Course (Subject): Africa-Turkey Economic Partnership. The second summit took place in Malabo (Equatorial Guinea) in 2014, adopting a Joint Implementation Plan (2015-19). For the Turkish Government, Africa is a fundamental pillar of his foreign policy. Islamic Civilisation (Central Eurasian Economic Area).